Some of our classes/workshops can be purchased with housing included. Call for details. Rates upon request. 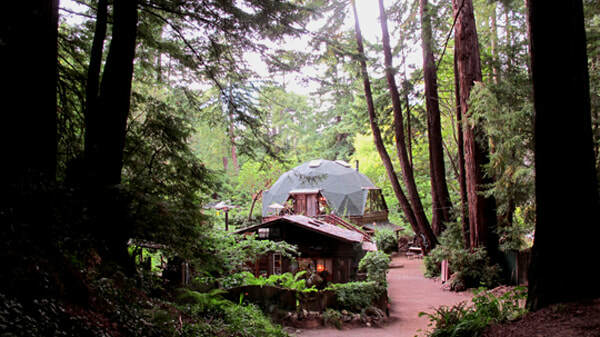 In the Dome House you'll enjoy a bedroom loft with sunken tub, skylights to moon bathe, forest views, 2 bathrooms, futon in living room sleeps 2 more. The house is open & spacious yet private and perfect for a couple wanting intimacy or it can easily accommodate a group or family of up to five. need to be fit to walk up there or we are happy to drive you. "Calla Lilly"....a charming 1 bedroom cottage with a sofa/bed in the living room. 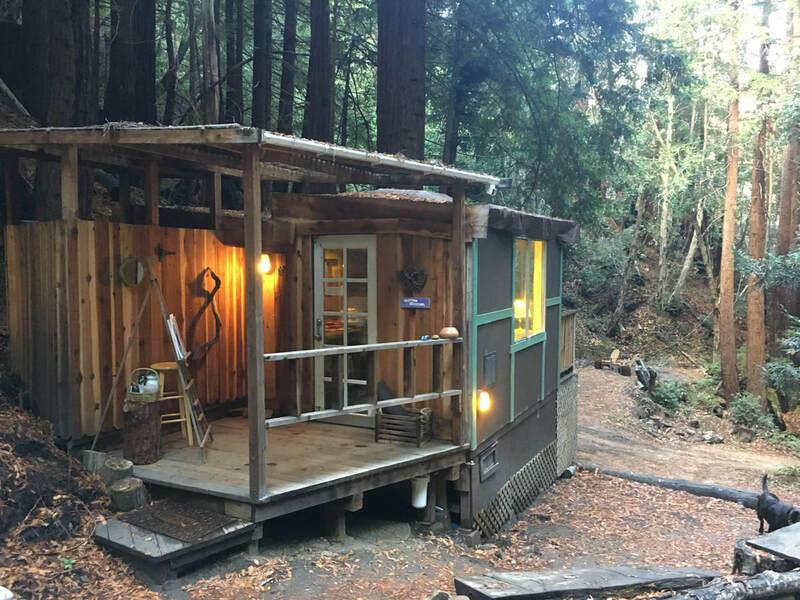 This sweet gem also has it's own lovely & colorful sitting garden to enjoy while surrounded by our magical Redwood forest. 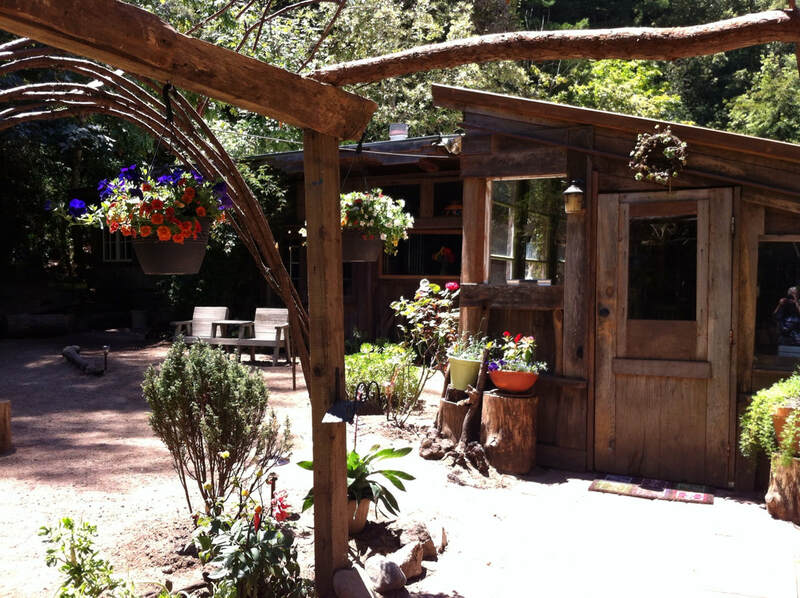 "Jasmine"....precious hidden 3 bedroom magical cottage where you can soak in the sun while to relaxing in the jasmine and rose garden. An easel and painting supplies always offered! 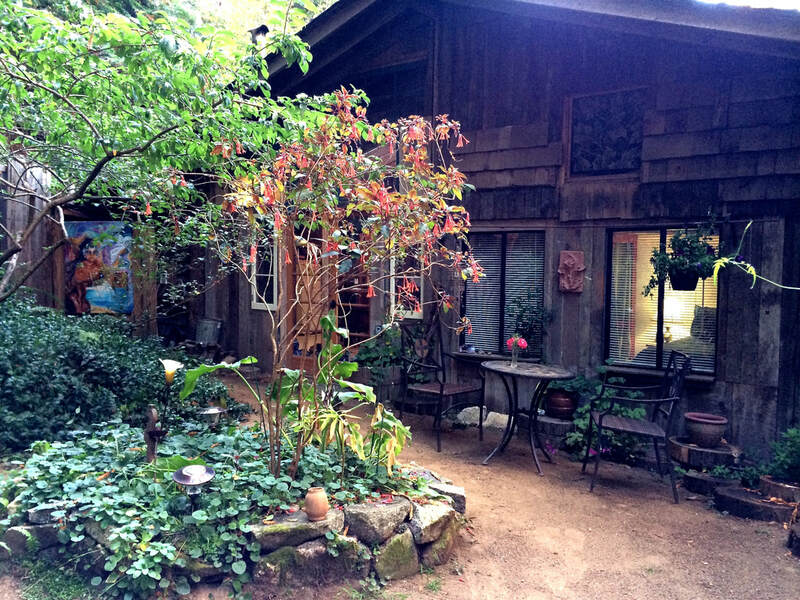 Call for details about staying here during your class, workshop or retreat. Come buy a painting* and stay a night for free. *purchase must be a certain amount...call for details.